Everyone needs a few easy gift ideas up their sleeves for the holidays, or new neighbors, or good friends. 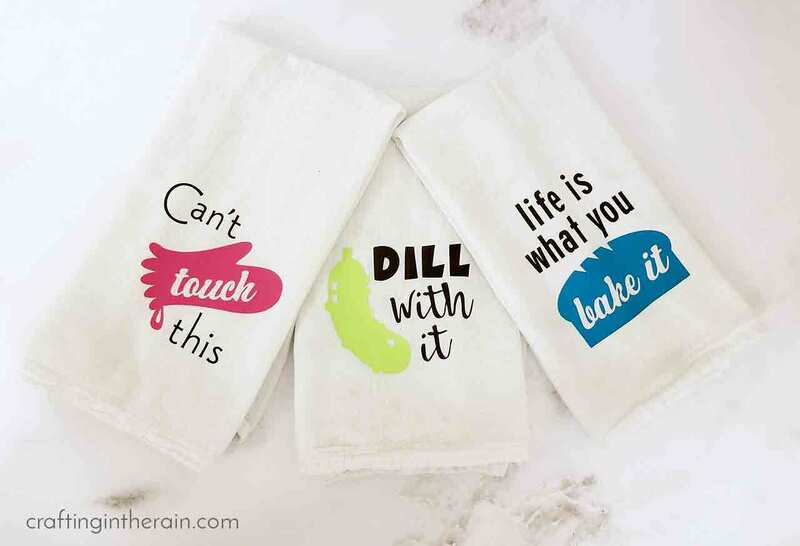 These cute kitchen towels are great alone or as a set. Dress them up even more with some baking mixes or tools, and everyone is sure to love them. First, let’s do a refresher on iron-on vinyl. It’s also called heat transfer vinyl or HTV. 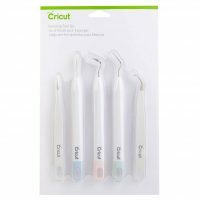 The adhesive is activated with heat, and it’s very durable. So it works great on fabrics and fuzzy materials. 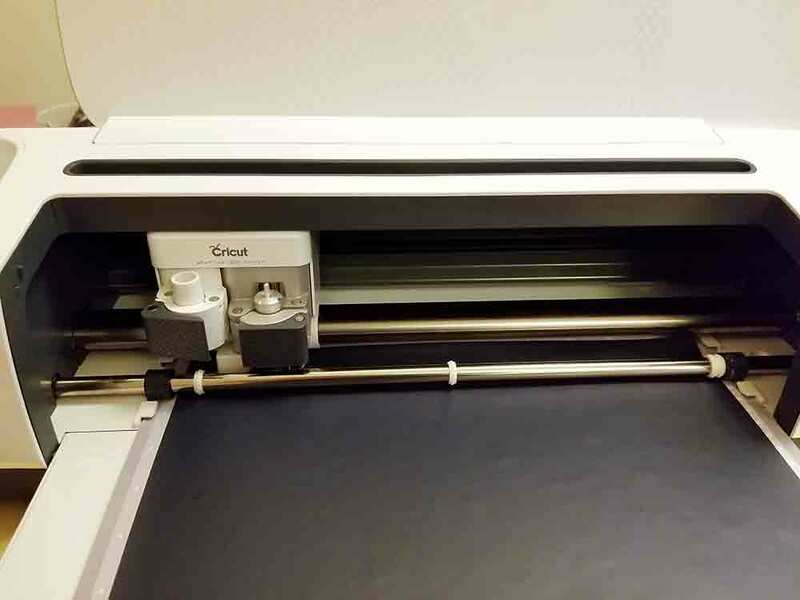 Iron-on vinyl has 2 layers – the actual vinyl, and a clear plastic carrier sheet. 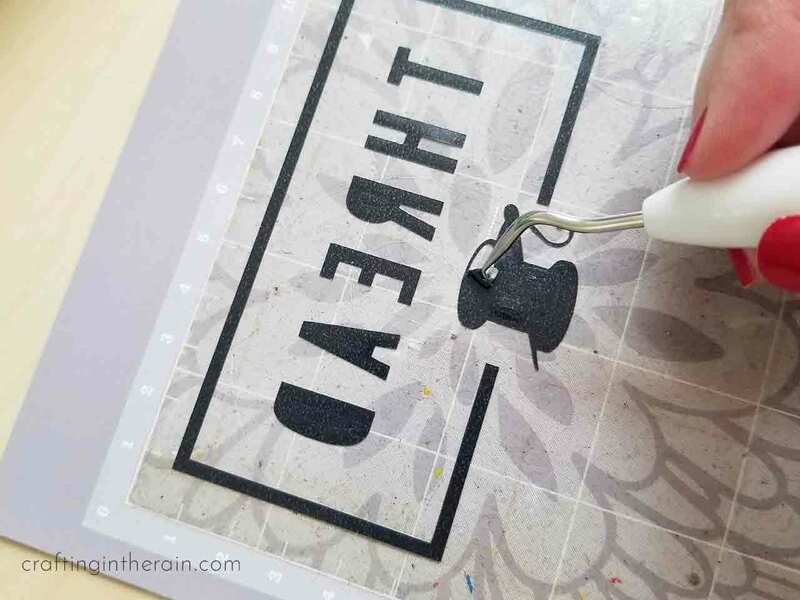 When cutting iron-on vinyl, the shiny plastic must go down on the mat, because you’ll be cutting just through the vinyl layer on the back side. 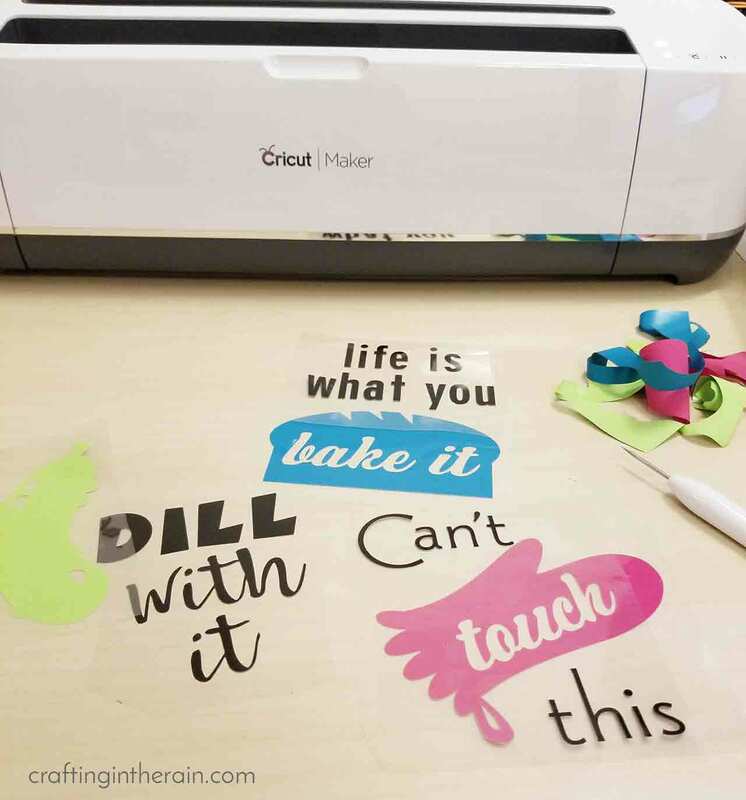 This is why the design always has to be mirrored before cutting – when you flip it over after cutting, then it will be right! 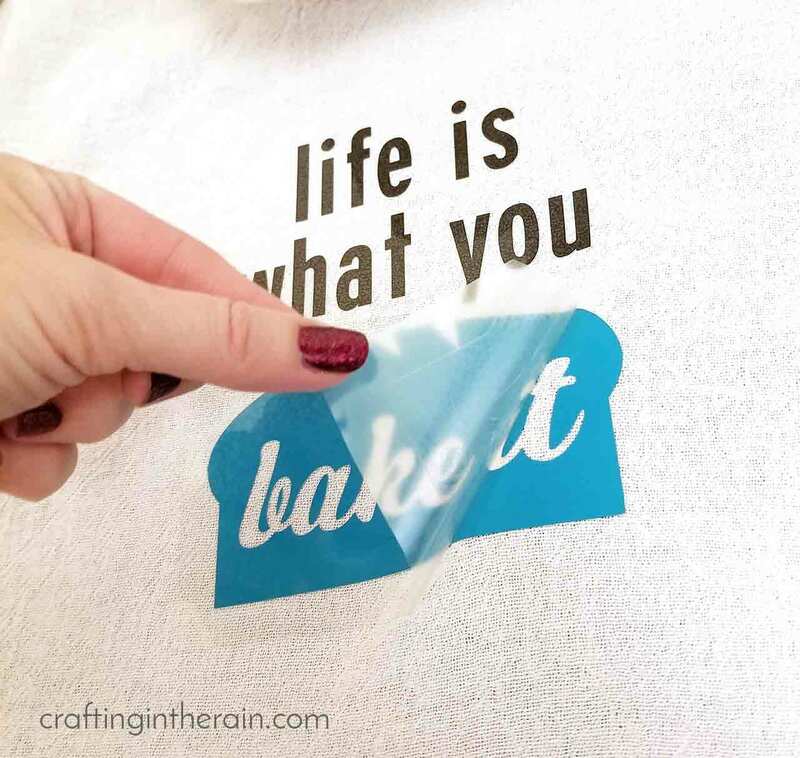 When you weed iron-on vinyl, it’s the same concept as will regular adhesive vinyl. Use a weeding tool to pull the unneeded vinyl away from the plastic carrier sheet. What’s great is that the vinyl isn’t sticky, so it’s not going to accidentally stick down to another part of your design and ruin it. The plastic carrier sheet works as built-in transfer tape. 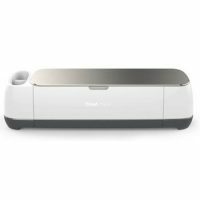 It holds all the pieces of your design in exactly the right place. It also protects the vinyl while it’s being pressed. With all that, let’s start on the towels. Open the Design Space file here and change out colors if you want. 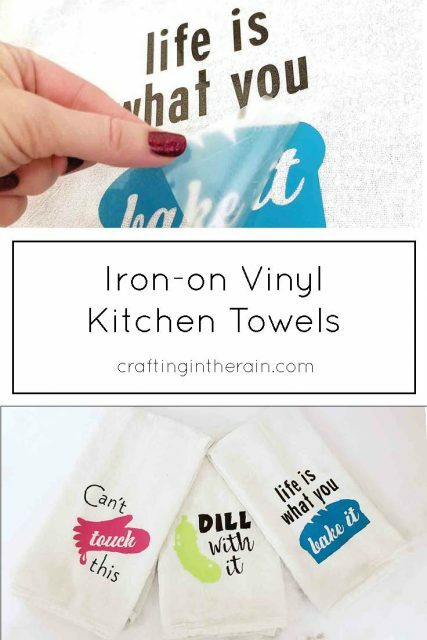 Place the iron-on vinyl design down on the towel. I centered the design and put it 2-3 inches above the bottom of the towel. If the different layers of plastic will interfere with the placement of multiple colors, press them one color at a time. 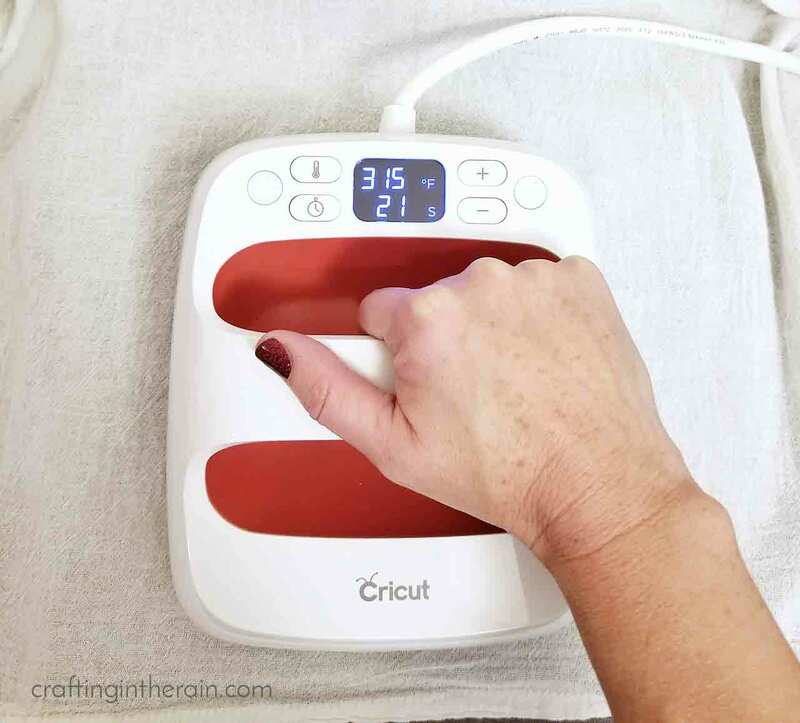 With medium pressure, heat the iron-on with the EasyPress for 30 seconds. Flip the towel over and press for 5 seconds. Then peel off the plastic carrier sheet. 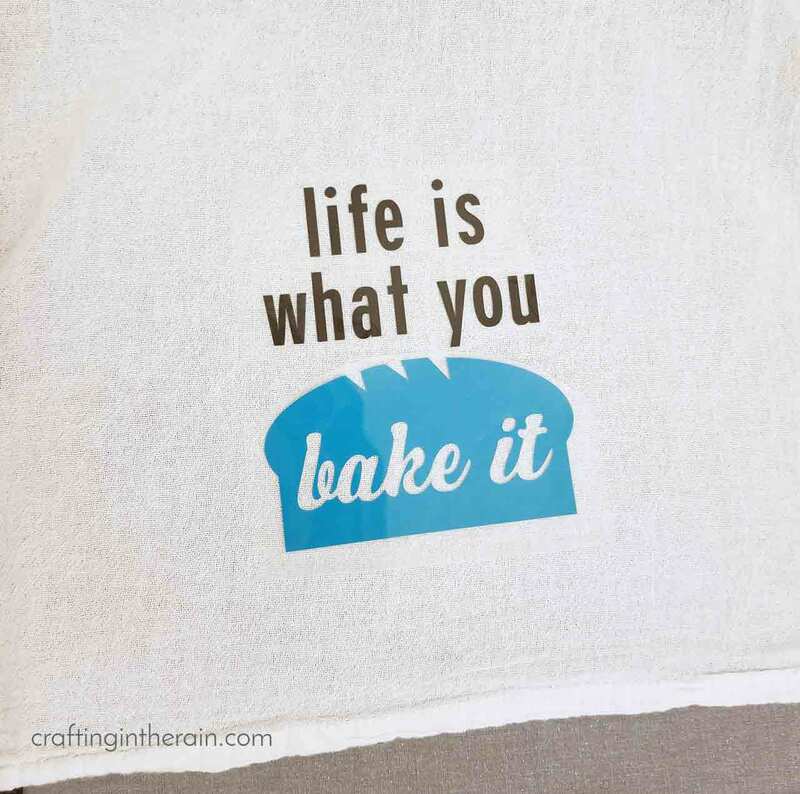 Which cute kitchen towels are your favorite? 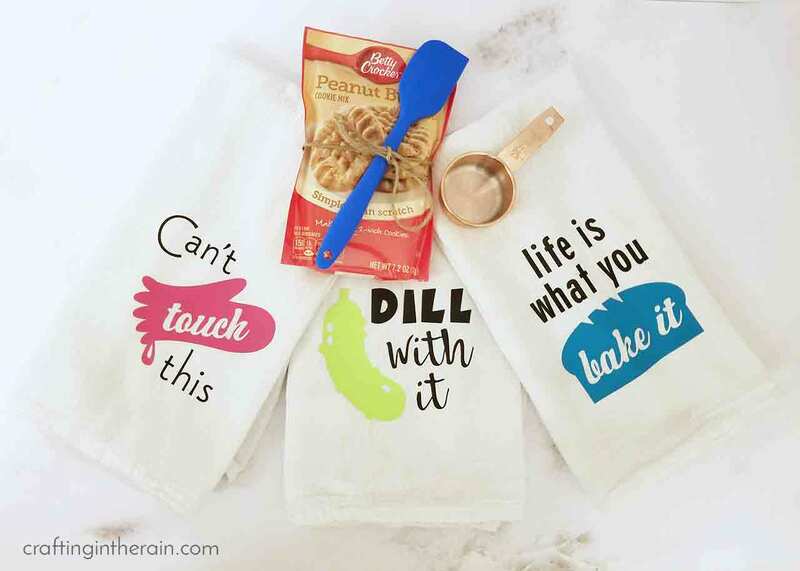 Use these towels as cute gifts, especially with a baking mix and spoon or spatula. 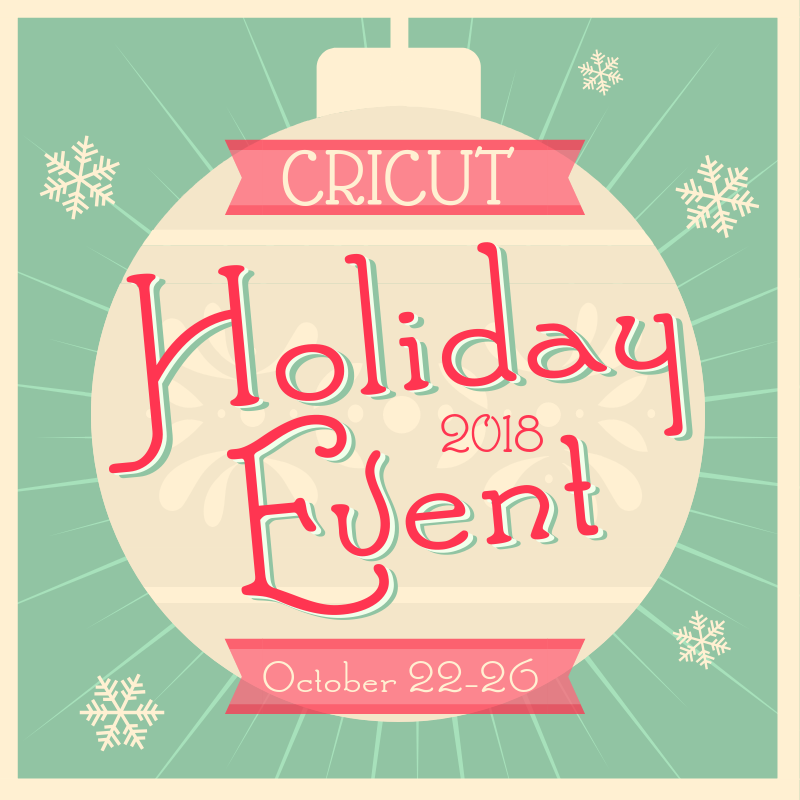 For more holiday Cricut ideas, check out all these posts below! These are so colorful and fun! I love the Dill one the most!